It's such a good feeling: Like Mussolini and Kennedy. 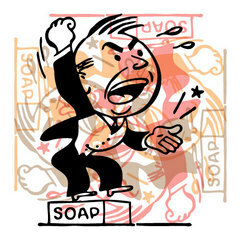 Let's pull out the old soap box. when they reach their next class. without music to distract you." Disclaimer: I do it sometimes when I'm walking to the grocery store. I feel fully chastised. You are absolutely right. I definitely do this, and the sad thing is, I probably won't quit. Yup, that was all from memory.